Alderman David Sage will not seek re-election to the Bloomington City Council in 2019. Sage, a fiscal conservative who often butted heads with Mayor Tari Renner, represents Ward 2 in southwest Bloomington. He’s held the seat since 2007 but announced Tuesday he won’t be seeking a fourth term. Sage said he’ll look for new volunteer opportunities after his term ends in 2019. “I'm excited about moving some Ward 2 projects forward, helping our new city manager (Tim Gleason) settle in, and working with my fellow council members through the end of my term,” Sage said. Sage did not return a request for comment Tuesday. He also did not return messages last month asking about his re-election plans. A few hours after Sage's announcement, Donna Boelen announced plans to run in Ward 2 in the April 2019 election. Boelen said she'd focus on "good stewardship of taxpayer dollars" and financial management if elected. Small-business owner Georgene Chissell is also running in Ward 2. Chissell is a Democratic precinct committeeman and Historic Preservation Commission member. 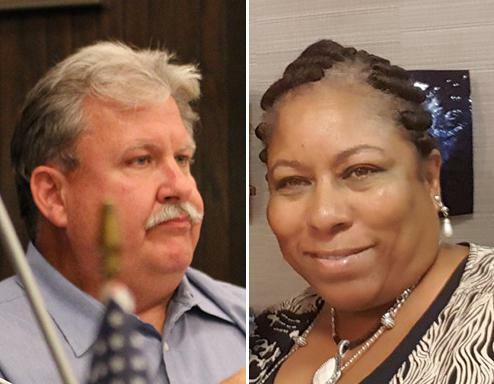 Sage’s exit means there will be at least two new faces on the Bloomington City Council in 2019. Alderman Diana Hauman, who represents southeast Bloomington’s Ward 8, announced last month she would not seek re-election. She cited frustration about the impact she made on the council and Renner’s leadership. Republican McLean County Board member Josh Barnett has announced a run in Ward 8. Also up for re-election in 2019 are Aldermen Amelia Buragas (Ward 4) and Karen Schmidt (Ward 6). Schmidt said Tuesday she plans to run for re-election. She'll face community organizer Jenn Carrillo plans to run in Ward 6. Buragas has not announced her plans. Mayor Tari Renner talks about council turnover in 2019. A local business owner said Wednesday she’s running for Bloomington City Council in 2019—at least the third candidate to announce with more than 250 days until the election.